Stay ahead of the curve with Planning & Development Insite, the magazine that cuts through the noise, and ensures you never miss the words that matter to the planning and development community. This edition focusses on the hard hitting topics shaping the industry, and the way we live our lives. 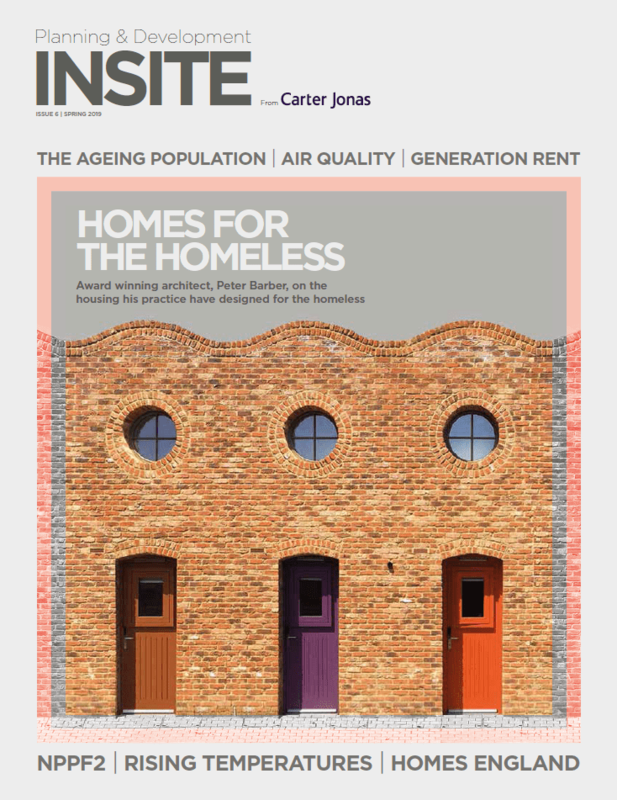 Examples of what you will find inside include the reality of homelessness across the UK and what is being done to help, fascinating insights around how climate change is impacting how we build, the rise of co-living among generation rent, and the challenges we face around the ageing population, such as a lack of housing for the ‘baby boomers’. We hope you enjoy this bumper issue. We’d love to hear your thoughts or any topics you would like us to feature in future issues. Send your ideas to marketing@carterjonas.co.uk, or tweet us at @carterjonas to let us know your thoughts.